Who doesn’t love a nice juicy strawberry on a hot summer’s day? Though these delicious little red fruits originated in the south of France, they’ve since spread all over the world and remain one of the more popular and recognizable berries there are. When it comes to a summertime cookout, the pressure is on the host to provide all kinds of delicious food. Though some of the mainstays are the burgers and hot dogs to be cooked on the grill, having a dessert handy is also a nice touch. Fortunately, we have a great recipe for you today. Because it’s nice to try out some lighter and fruitier desserts in the summertime, we’ve found a perfectly fruity dish that you can bring to the next barbecue—and it’ll blow everybody away. That’s right, today we’re making an incredible strawberry pie that is completely packed with strawberry flavor… because the majority of the inside is just whole strawberries. Don’t worry, there are some other ingredients in there to bind everything together. Let’s just get started and worry about the details later. 1. Before anything else, you’ll need to make the crust—if you’re buying a pre-made one, you can skip this part! Get a bowl and mix together your butter, sugar and flour. 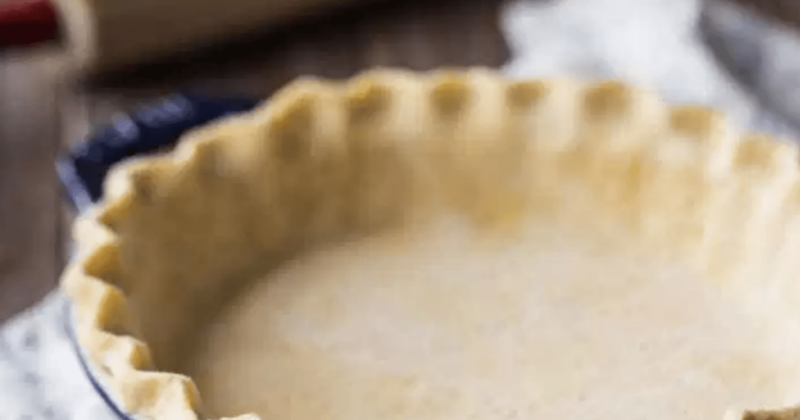 Press it firmly into a deep pie plate that you’ve already greased with oil or butter. Bake the entire thing for 10 to 15 minute sat 375 degrees, making sure it gets lightly browned all over. 2. 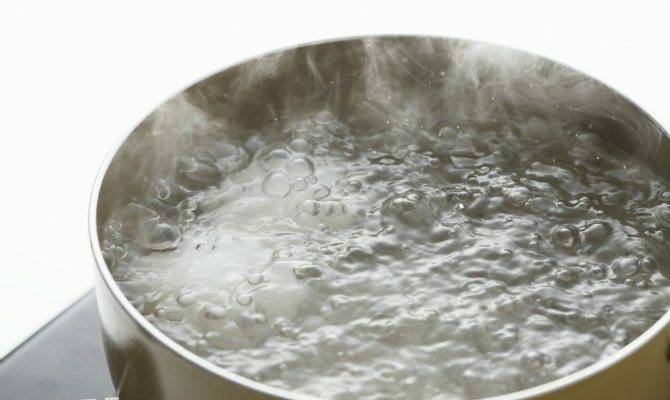 To make the filling, add your water, sugar and cornstarch to a pot and bring it all to a boil. Keep stirring throughout the process and let the entire mixture go thick and clear. 3. 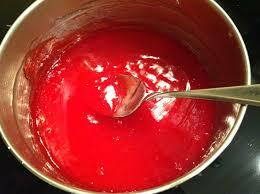 Once that part is done, take it off the heat and add in your strawberry Jell-O mix. Keep stirring everything together and then give it some time to cool off. 4. Once it’s cool, make sure your strawberries are prepared and fold them into the mixture, giving everything a stir to make sure it’s evenly combined. After that, pour it into your pie shell and pop the entire thing into the refrigerator. 5. Let the whole thing stay in the fridge for a few hours until it sets completely—that’s right, this is a no-bake pie (aside from the crust)! Once it’s ready to go, cut out a slice or two and serve it with a nice dollop of whipped cream. Enjoy! 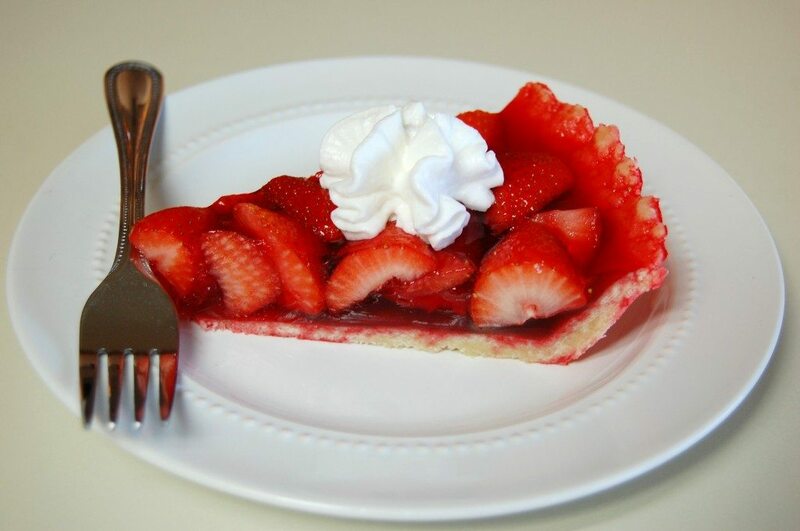 Although you may have had some other pies before, you might not have ever tried a strawberry pie. Fortunately, this recipe is one of the best versions of this recipe that we’ve ever tried! The whole strawberries inside give it plenty of texture and authentic flavor, while the Jell-O and sugary mixture provides a nice mortar to hold everything together. While we encourage anyone who has the time to make the crust themselves for some extra freshness, a pre-made crust will be just fine as well. 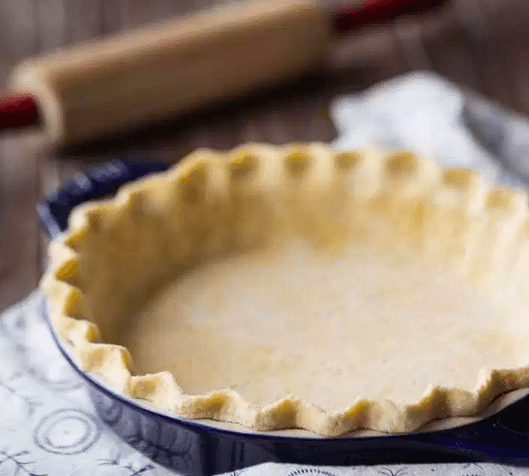 Use only half the recipe if you’re making a shallower pie! Have you given this recipe a try for yourself? Let us know what you thought in the comments below.